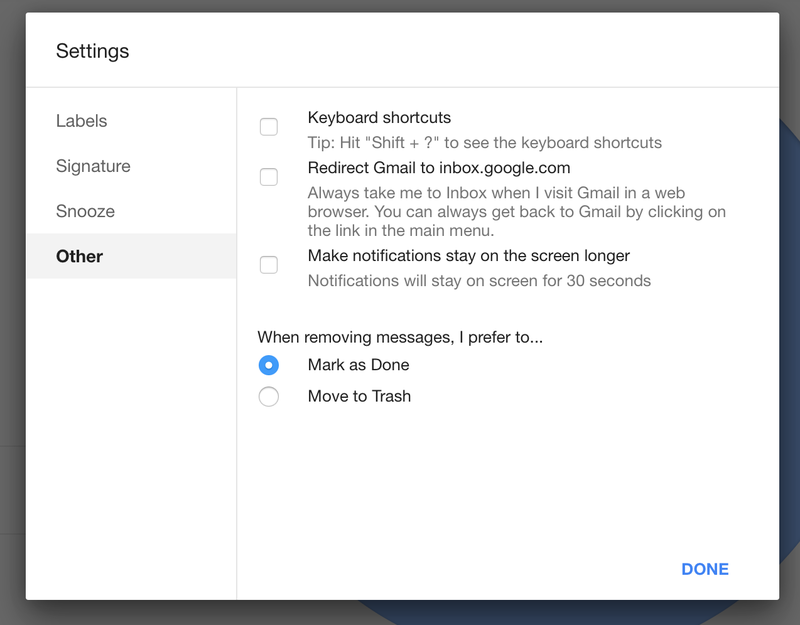 Setting Inbox as the default email client and the option to redirect there from Gmail isn’t anything new — I’ve actually been doing this for several months with both my standard Gmail account and my Google Apps account. What’s new here is the above message, which is seemingly notifying users that the option has been enabled by default “to make it easier.” Previously, messages have appeared in Inbox asking if users would like to enable redirection, but this move is a bit more aggressive, making the redirection opt-out rather than opt-in. Notably, Google isn’t going as far (yet, at least) as to redirect standard Gmail users to Inbox by default. As far as we can tell, this message is only popping up for users who have intentionally opted to use Inbox by Gmail on the web at least once. And it doesn’t seem to be popping up for everyone yet — some 9to5Googlers aren’t getting the message at all.